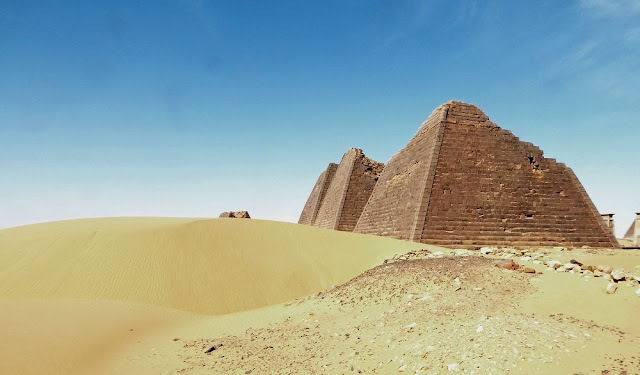 This is the lost city of Meroë in the sands of Sudan, inside the ancient citadel of the Black Pharoahs with beautifully maintained pyramids as impressive as their more famous counterparts in Egypt. 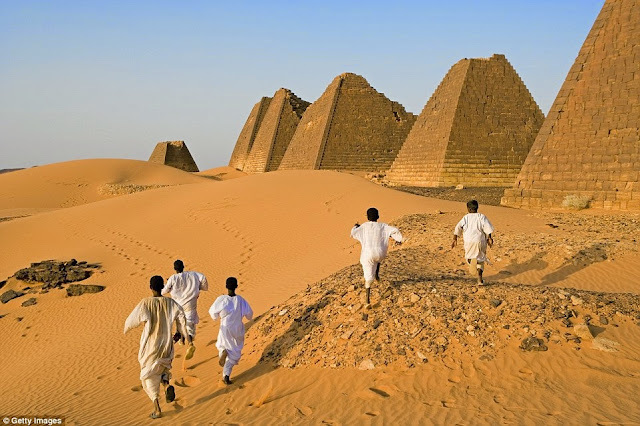 It is situated 125 miles north of Sudan’s Capital Khartoum is rarely visited in spite of being a Unesco World Heritage site. 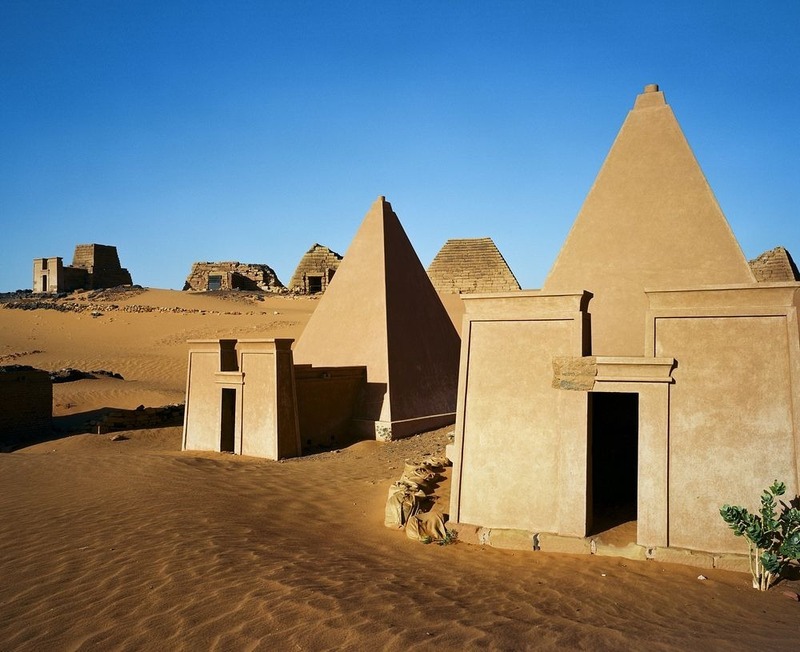 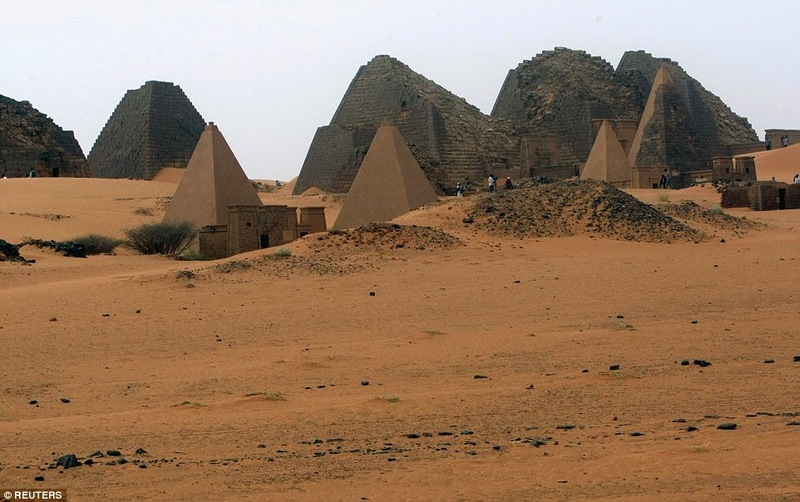 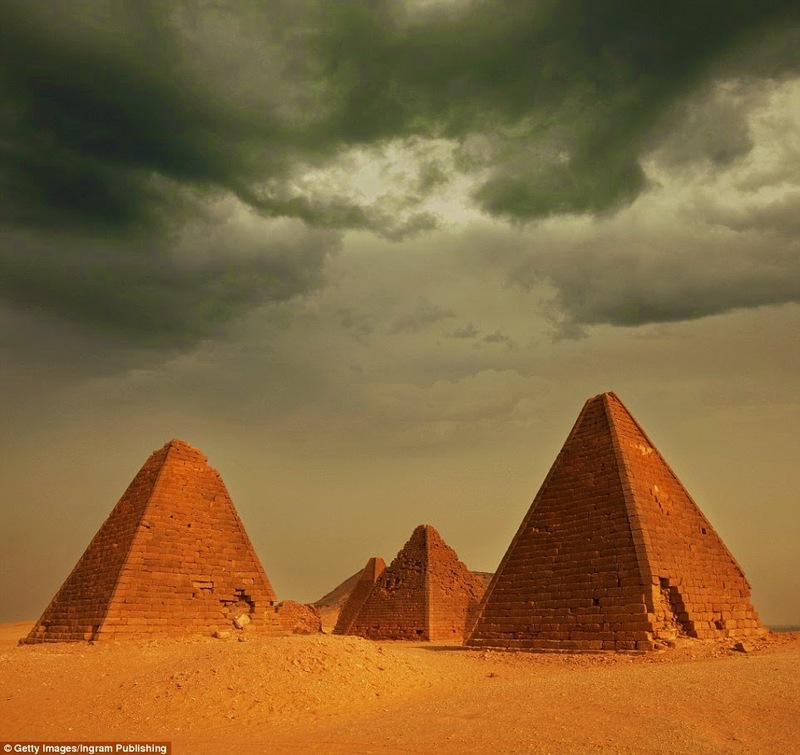 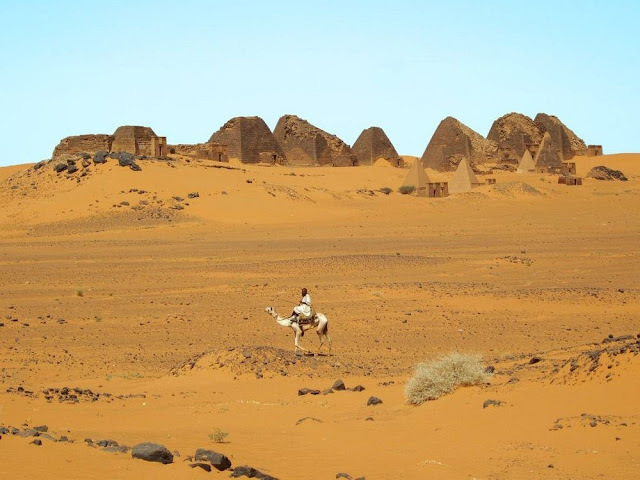 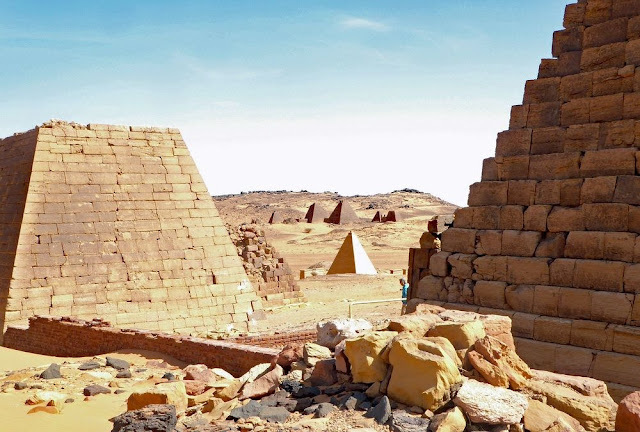 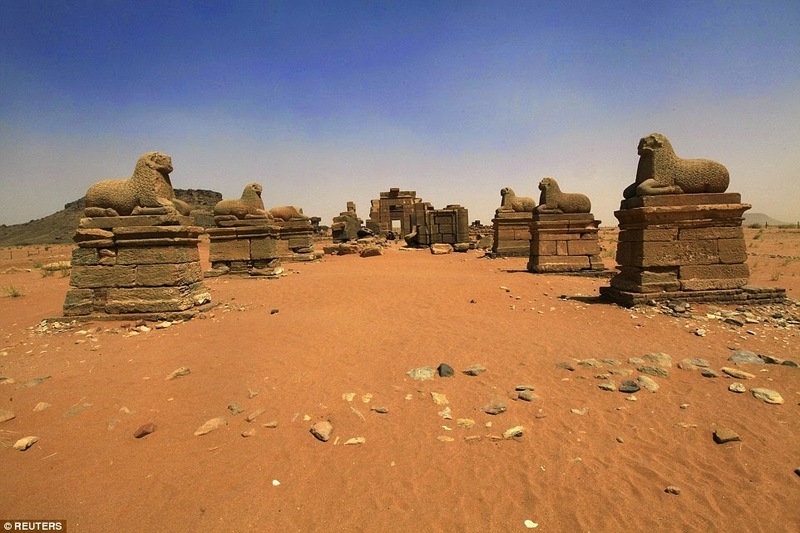 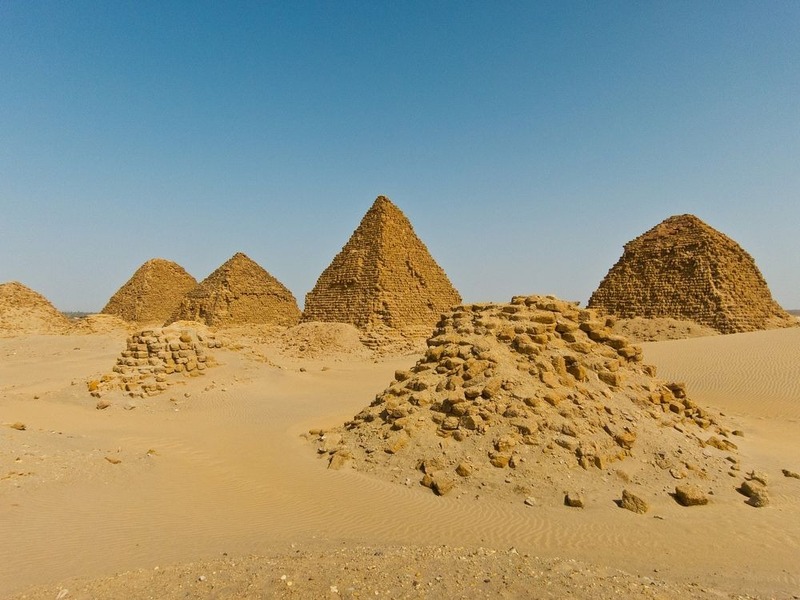 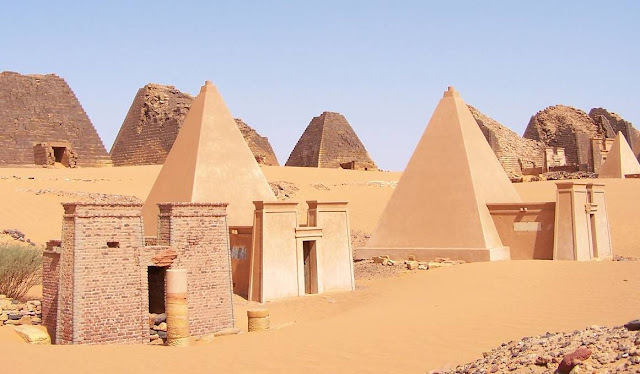 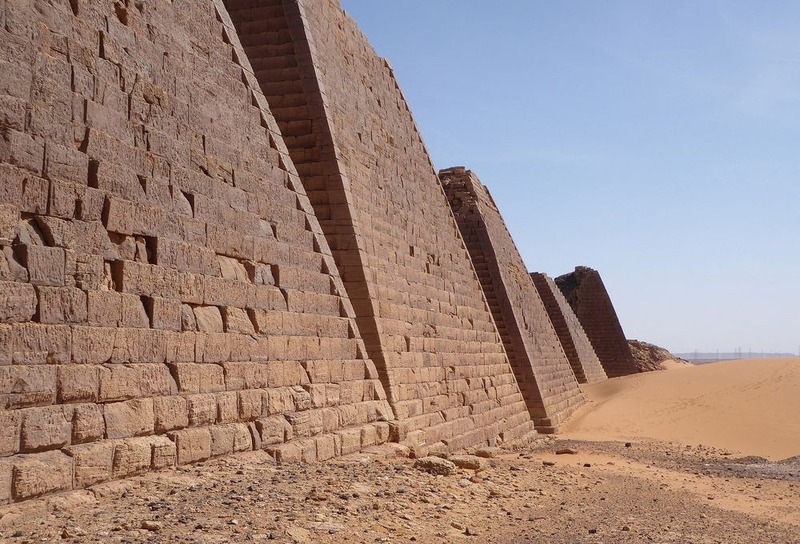 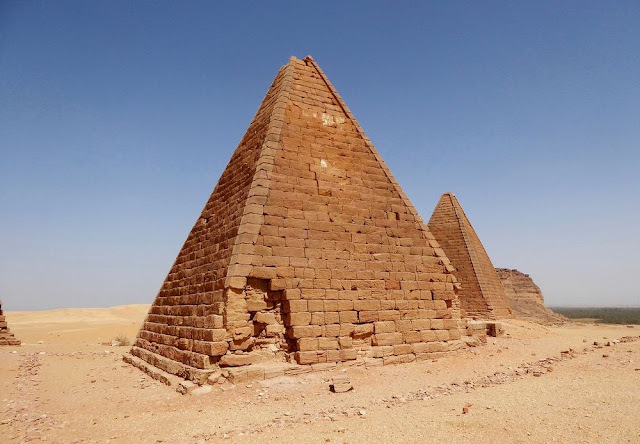 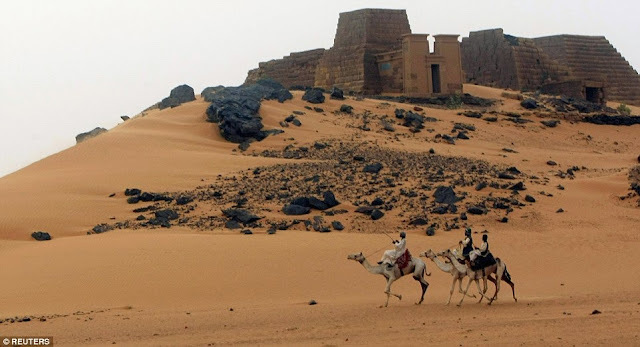 The Sudan tourism industry has been overwhelmed by economic sanctions imposed over the conflicts in Darfur and other regions though the famous pyramids of Giza, the Sudanese site is largely deserted. Although, sanctions against the government of President Omar al-Bashir long-running internal conflicts limit its access to foreign aid and donations, while also hampering tourism. 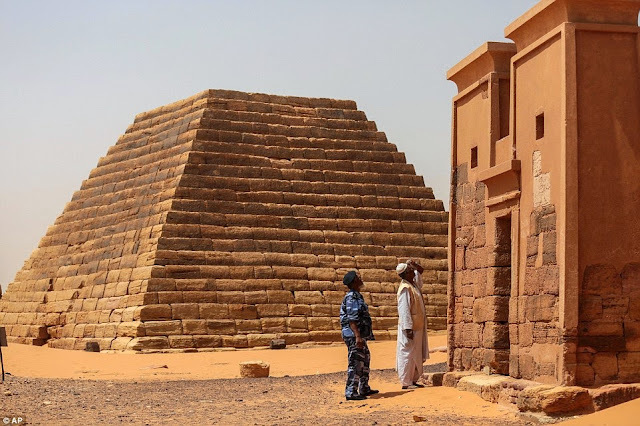 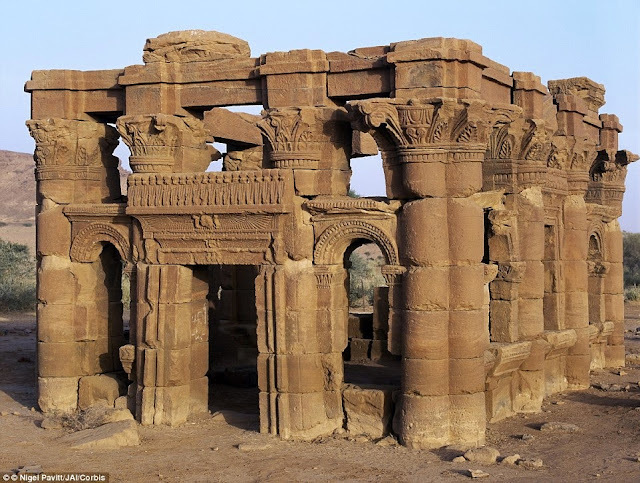 Al-Bashir's government, which came to power following a bloodless Islamist coup in 1989, has struggled to care for its antiquities. 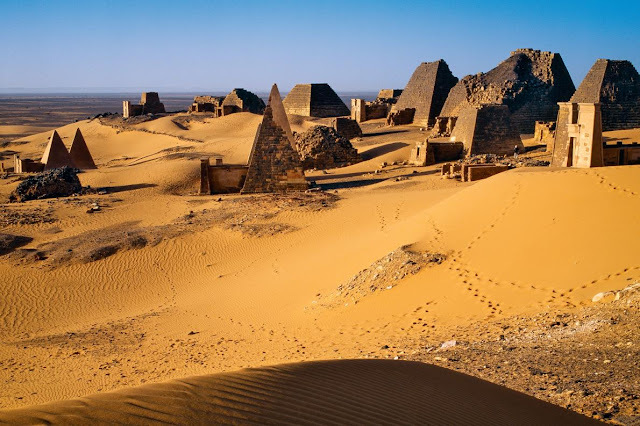 The barren site famous as the Island of Meroë, as the ancient, long-dried river ran around it, once served as the principle residence of the rulers of the Kush kingdom - one of the earliest civilizations in the Nile region and recognized as the Black Pharaohs. 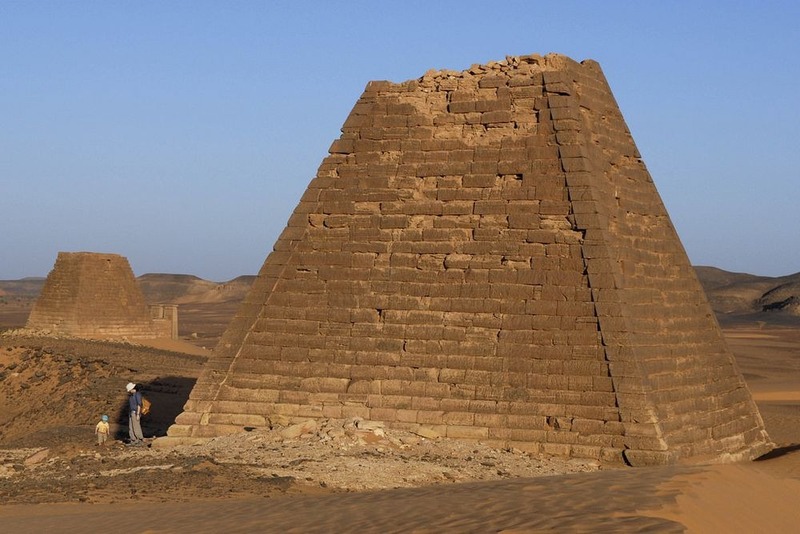 The height of these pyramids is ranging 20 to 100 feet tall, believed to be built between 720 and 300 B.C. One photographer Eric Lafforgue said, Egypt doesn’t have the monopoly on pyramids, as Sudan has several of them, and discovers new ones are on regular basis. 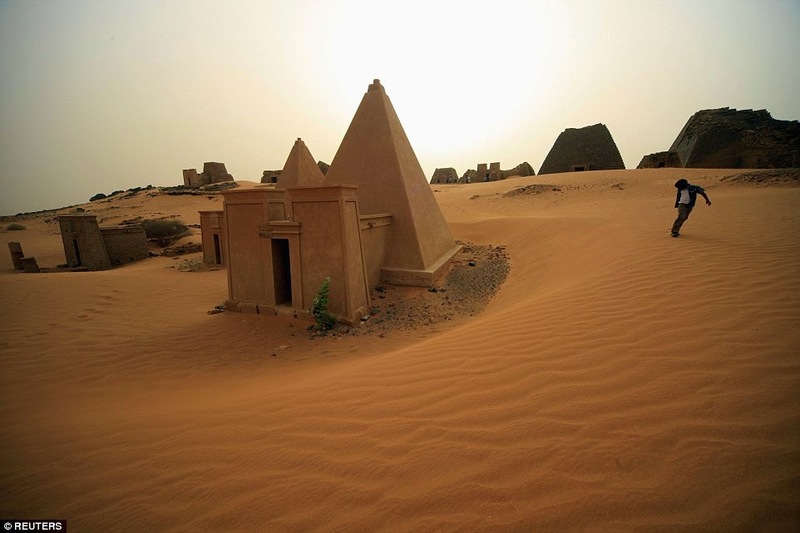 The entrances usually face east to greet the rising sun. 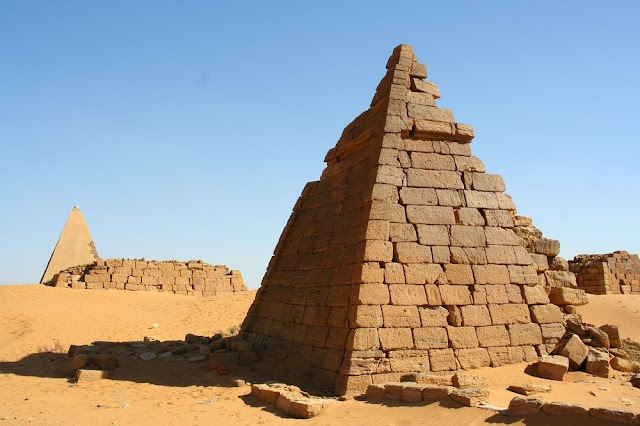 Therefore, the most beautiful and impressive pyramids form the Meroë Necropolis. 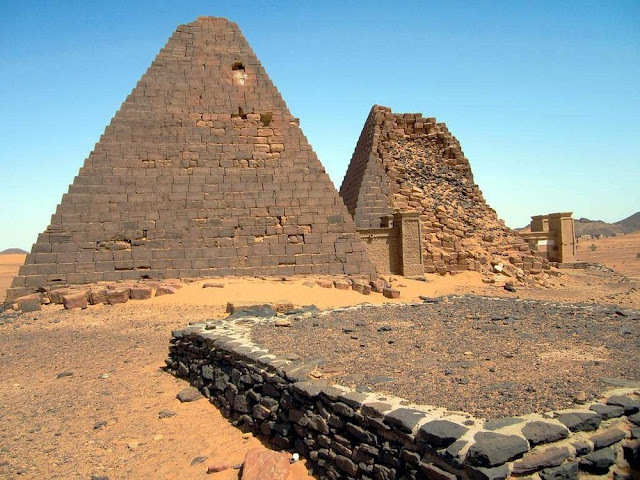 However, UNESCO World Heritage describes the site “The heartland of the Kingdom of Kush, a major power from the 8th century B.C. 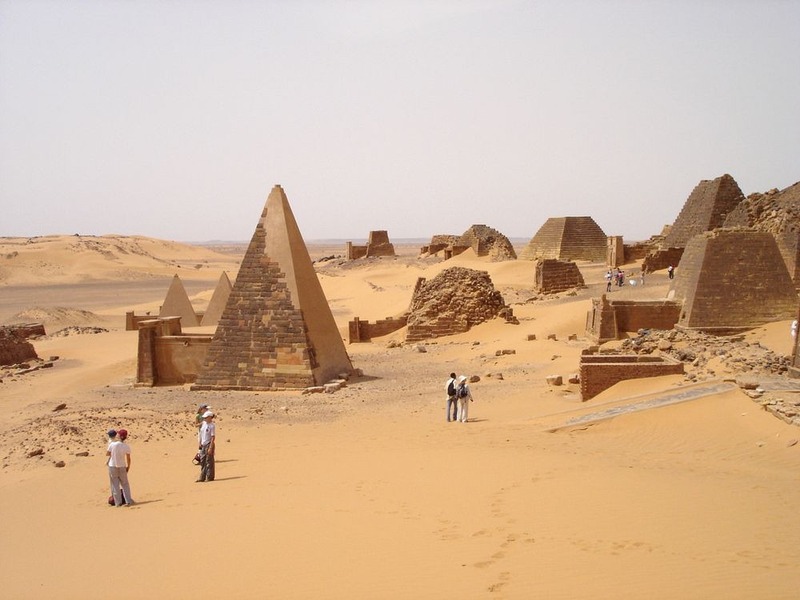 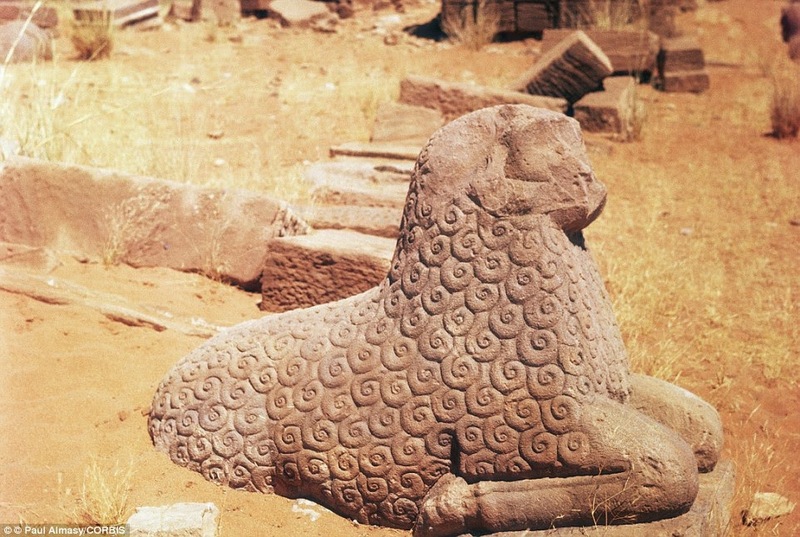 to the 4th century A.D.” It is also explains that the property comprises of the royal city of the Kushite kings at Meroe and the nearby religious site of Naqa and Musawwarat es Sufra.